RELIABILITY. Expert craftsmanship, well-equipped production facilities and an ongoing investment in technology ensure Timken products are synonymous with quality and reliability. 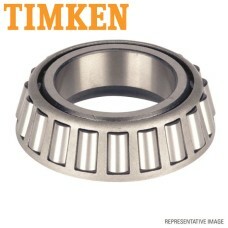 Timken roller bearings stand up to extreme situations, including high-corrosive, high-temperature, vacuum or low-lubrication environments. VERSATILITY. 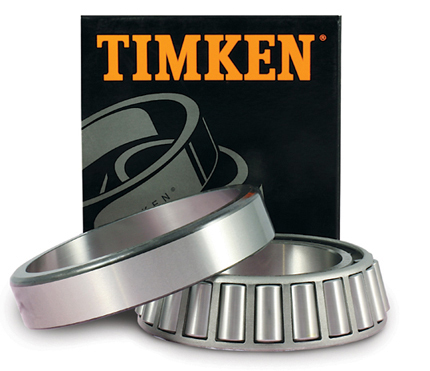 Use Timken tapered roller bearings to help your equipment excel when it faces combined radial and thrust loads. 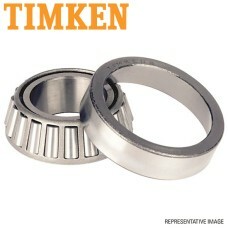 Timken bearings are uniquely designed to manage both types of loads on rotating shafts and in housings. DESIGN. 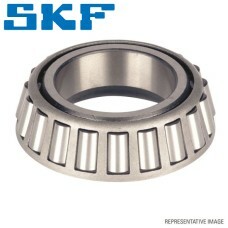 Each tapered roller bearing contains four interdependent components: the cone (inner ring), the cup (outer ring), tapered rollers (rolling elements) and the cage (roller retainer).Tapered angles allow our bearings to efficiently control a combination of radial and thrust loads. 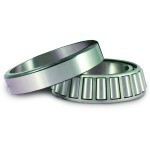 The steeper the outer ring angle, the greater ability the bearing has to handle thrust loads. 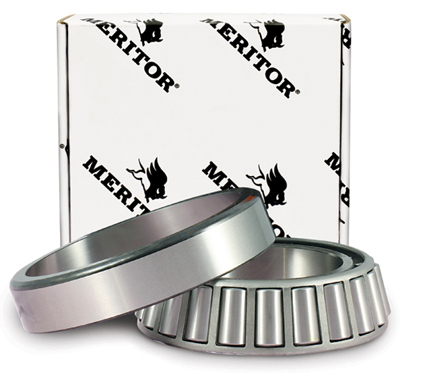 Meritor’s premium-tapered roller bearings for wheel-ends are an all-makes solution for multiple applications including steer, drive and trailer axles. 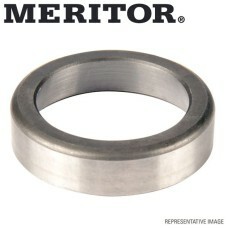 Meritor bearings are manufactured with high-grade steel and are through-hardened for added tensile strength. 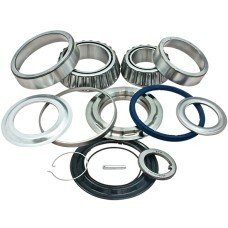 To safeguard against contaminants, each bearing is packaged in individually sealed and wrapped plastic bags. Select wheel-end sets include intermediate plastic between the cup and cone for added protection during transportation. 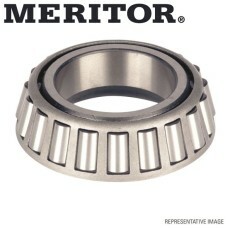 All Meritor bearing solutions offer exceptional reliability, long life and full interchangeability with other manufacturer’s bearings. 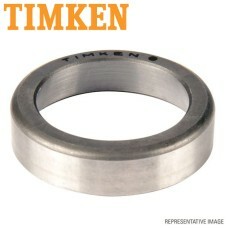 For Timken bearings add “T” to the end of part number eg. AP0610T. 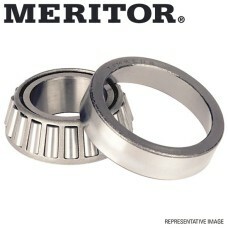 For Meritor bearings add “M” to the end of part number eg. AP0610M. PART NO : AP0609M ..
PART NO : AP0611M ..
PART NO : AP0615M ..
PART NO : AP0608 ..
PART NO : AP0610M ..
PART NO : AP0671M ..
PART NO : AP0670M ..
PART NO : AP0650M ..
PART NO : AP0633M ..
PART NO : AP0644KM ..
PART NO : AP0646KM ..
PART NO : AP0643KM ..
PART NO : AP0642KT ..
PART NO : AP0608KM ..
PART NO : AP0610KT ..
PART NO : AP0615KM ..
PART NO : AP0602 ..
PART NO : AP0642T ..
PART NO : AP0657T ..
PART NO : AP0740T ..
PART NO : AP0644T ..
PART NO : AP0646T ..
PART NO : AP0643T ..
PART NO : AP0742T ..
PART NO : AP0607T ..
PART NO : AP0606T ..
PART NO : AP0609T ..
PART NO : AP0611T ..
PART NO : AP0615T ..
PART NO : AP0655T ..
PART NO : AP0658T ..
PART NO : AP0741T ..
PART NO : AP0641T ..
PART NO : AP0601T ..
PART NO : AP0743T ..
PART NO : AP0605T ..
PART NO : AP0608T ..
PART NO : AP0610T ..
PART NO : AP0614T ..
PART NO : AP0671T ..
PART NO : AP0670T ..
PART NO : AP0650T ..
PART NO : AP0632T ..
PART NO : AP0630T ..
PART NO : AP0631T ..
PART NO : AP0633T ..
PART NO : AP0608KT ..
PART NO : AP0615KT ..
PART NO : AP0644KT ..
PART NO : AP0646KT ..
PART NO : AP0643KT ..
PART NO : AP0657KT ..
PART NO : AP0742KT ..
PART NO : AP0640KT ..
PART NO : AP0606KT ..
PART NO : AP0720G ..
PART NO : AP0721G ..
PART NO : AP0722G ..
PART NO : AP0725G ..
PART NO : AP0724G ..
PART NO : AP0723G ..
PART NO : AP0703G ..
PART NO : AP0705G ..
BPW ECO Hub Kit - 10 tonne ECO grease hub. Seal carrier NOT included. PART NO : AP0708G ..
PART NO : AP0709G ..
PART NO : AP0710G ..